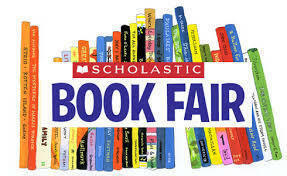 Our Fall Book Fair will begin on Monday, October 15. Students will be allowed to shop during their lunch/recess time from 11:30-12:30. Students will get time to browse and shop during their weekly library class time, as well. Our fair will also be open from 2:00-7:00 during the afternoon/evening of Parent/Teacher Conferences on Monday, October 22. We would love for you to come shop with your child/children! The Book Fair is a great way to purchase affordable reading materials for your child while also helping Dwight Elementary School. Our library purchases books, supplies, and other materials with the proceeds from the Book Fair. Be sure to check out our Dwight Online Book Fair Page for an even larger selection of books! We can't wait to see you there!